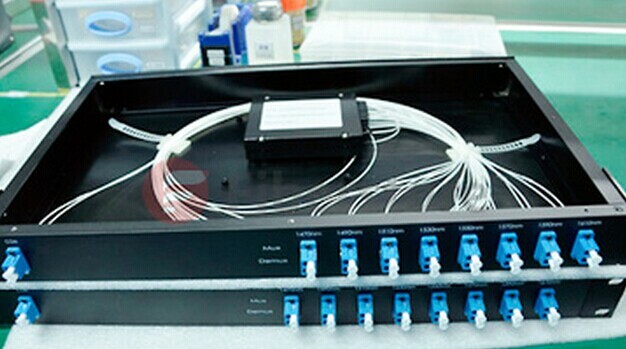 Based on the DWDM technology, the all-optical network make full use of fiber optic cables which have huge transmission capacity, it must be the next-generation high reliability, fast speed information network technology. Fiber optic attenuators are widely and important optical passive components, especially in the all-optical network. Optical attenuator is applied into WDM system upstream and downstream node channel, power balance, EDFA gain flatness, optical communication lines, system evaluation, research and adjustments, correction and so on. It is in accordance with customers’ requirements by absorbing or reflecting off part of the optical power and then reduce the signal power as expectation. It’s position in the optical fiber network just shown in the figure. Received Energy imbalance will beyond the allowed dynamic range finally. Accumulation of SNR imbalance can cause gain of a certain wavelength of BER, it may lower than the required BER (bit error rate). 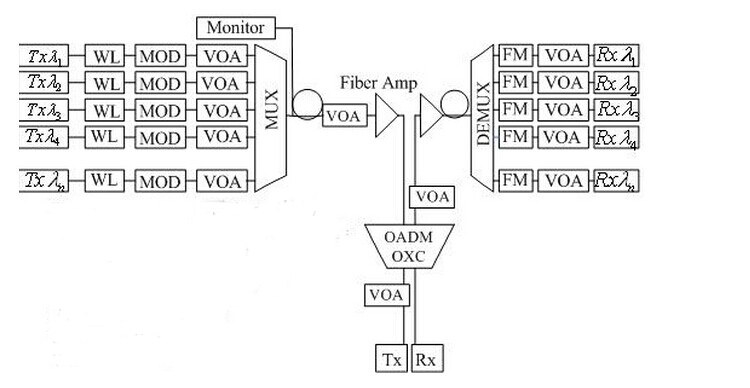 Because of the shortage of the gain, the minimum signal power of the channel may be lower than the sensitivity of the receiver. In the DWDM optical network which has multiple contact node, such as MAN, the transmission distances and the volume of the business between the different channels are different, each channel’s transmission must be balanced, including power, BER, signal to noise ratio and so on. 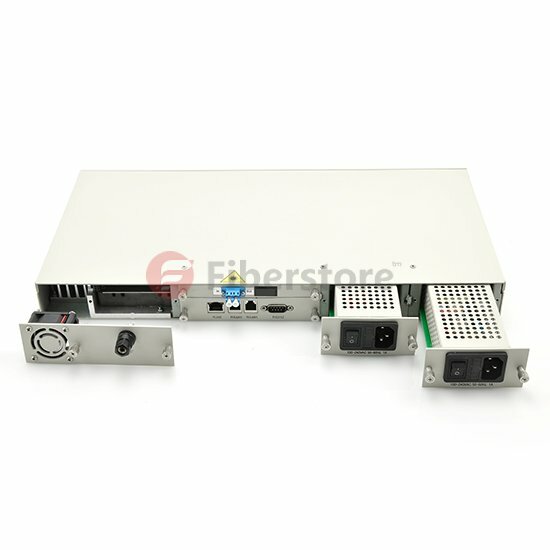 The application of variable fibre optic attenuator is the first solution in the system. Moreover, optical attenuators are also important for optical telecommunication link and the test for the system. Fiber optic cable link and the system need to be examined before laying them, then it can insure some performance parameters of the system or link road, so that it is easy to do some optimization test. So we need to simulate the actual situation, mainly the proper attenuation for the signal, then we will find out the actual situation after the long distance transmission.